猫山王. D197. Mao San Wan (Pahang) or Rajah Kunyit (Kelantan). 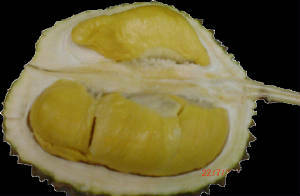 Some call it "Butter durian". 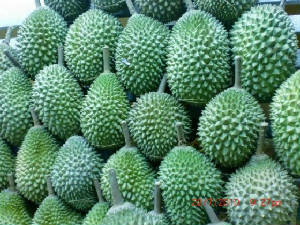 It is also known as "Musang King" because of the strong promotion by durian farm owners in Gua Musang district. 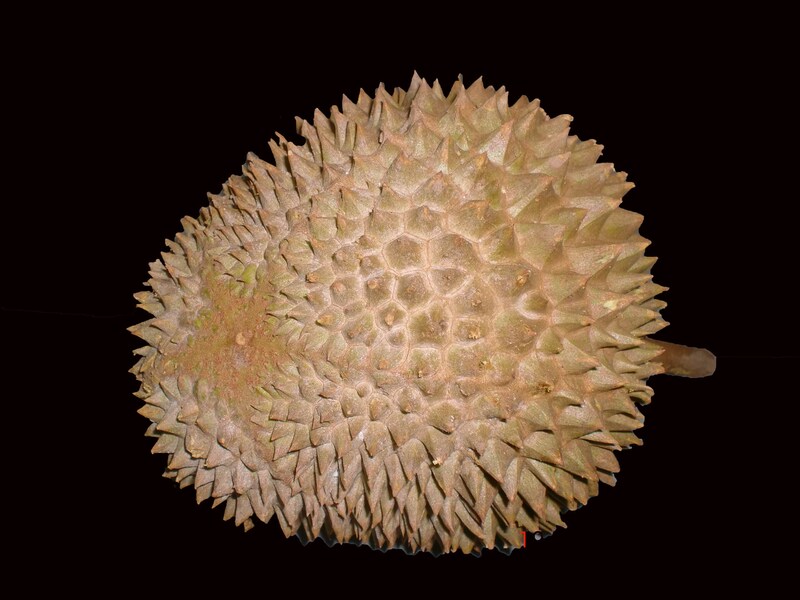 D197 is officially registered as "durian Kunyit" on 9 December 1993 by Mr Wee Chong Beng from the Tenah Merah district in Kelantan. This is the most expensive type now (2010). Retail prices from S$8/kg (2005) to S$30 per kg (2006) depending on supply. 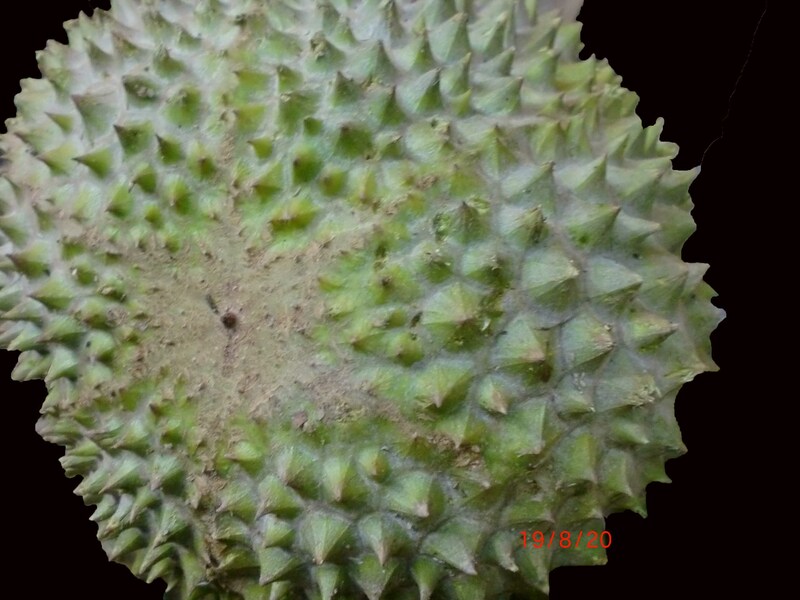 Near the end of its durian season (September), as the medium quality supply from southern Malaysia plummeted, just the cost per kg for premium quality from Pahang to a dealer in Singapore can be as high as S$10 to S$11/kg! So far, the quality from Pahang is the best. Flesh color should be darker orange.